It’s a great thing to accomplish two tasks with one action. This unique and lovely recycled furniture, does just that. 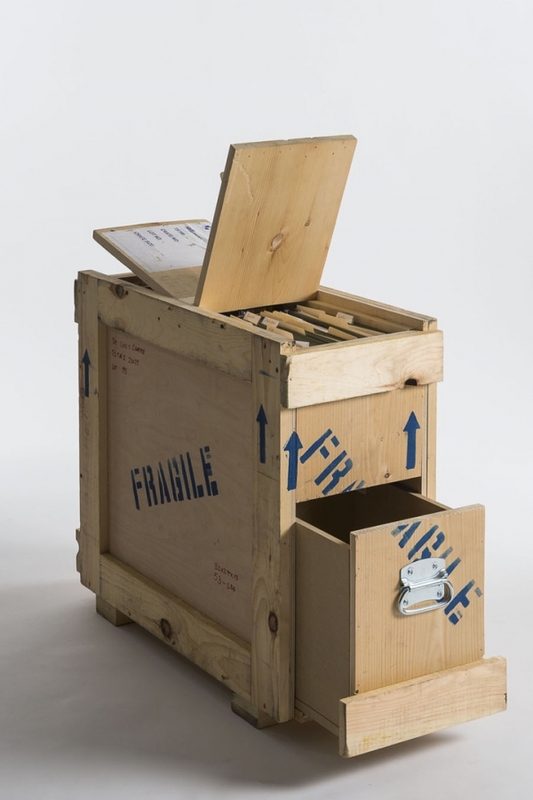 The FURM furniture collection, created by Peveto, a fine art resource management company, takes shipping crates and repurposes them, adding as little material as possible. If the recycled furniture requires it, they usually only add a two by two or a two by four of pine. The collection contains five different pieces of furniture: a coffee table, a side table, a club chair, a bar cart, and a filing cabinet. The coffee table is sturdy and functional. 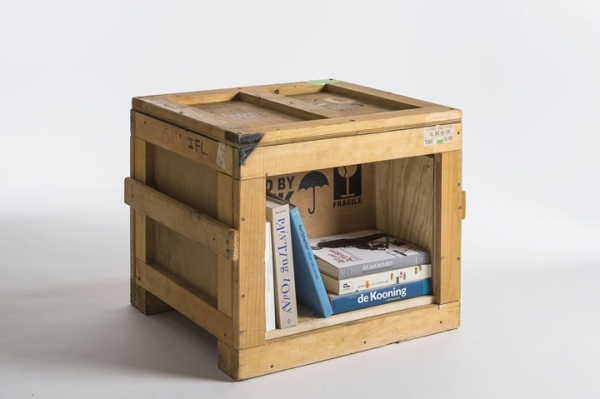 It comes with single-sided or double-sided shelving, providing a cozy and accessible place to store books. The top of the table is the perfect place to sit drinks and television remotes. 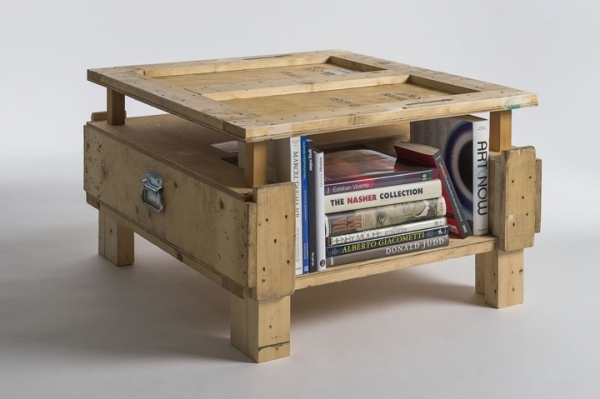 The side table has a fairly large square opening, perfect for storing just about anything. Books, magazines, decorations, dvd’s, and more, would all work in this functional space. The club chair is smart and fun. A neutral cushion sits in the seat and back part of the chair, adding comfort. In the bottom of the chair, a rectangular opening adds even more functionality to this furniture collection. Now, there is no need to walk over to the bookshelves to get a book to read. Simply place books, or whatever else is needed, in the cubby hole, and everything is an arm reach away. 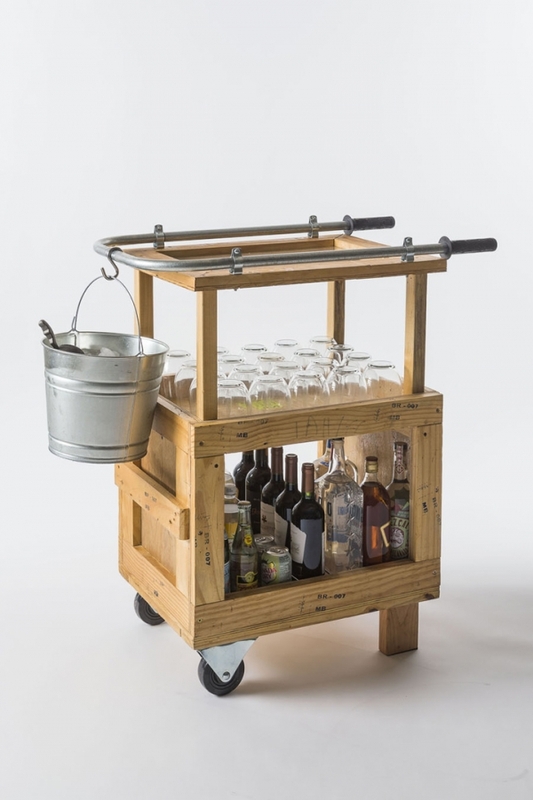 And then there’s the bar cart. 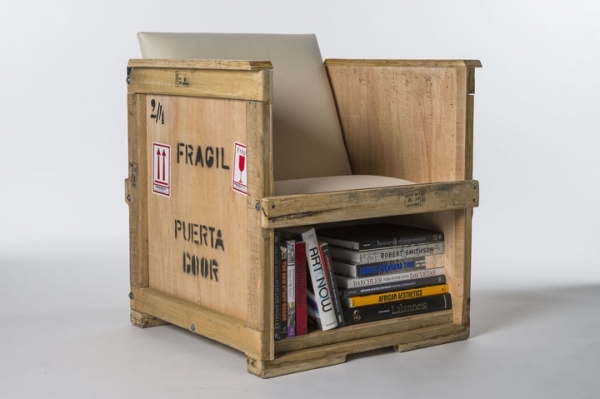 This creative and well thought out recycled furniture, includes a place for glasses, the drink of choice, and even a hook for the ice bucket. The filing cabinet is absolutely fantastic. There is a drawer and filing space on each side of the cabinet; plenty of room for alphabetized files, staples, and printer paper. This eco furniture, with its fantastic color and clever design, is equally stylish and friendly to the earth. The metals and the recycled nature of this furniture, add a cool and industrial element to any space.